Abstract: This paper offers an overview of recent historical studies on toxic products. First, we offer an introduction to the literature and the principal academic groups, describing the major trends in four different areas of scholarship: history of crime and forensic science, history of food quality and adulteration, history of occupational and public health, and environmental history. Second, we suggest avenues for future research by highlighting three meeting points: protagonists, spaces and proof. We also discuss some challenges of the historical narratives: the agency of human and non-human actors; the integration of material, human and environmental effects; and the combination of the socio-cultural analysis of historical cases with the current understanding of poisons. While avoiding the unforgivable sins of anachronism or, even worse, of technological determinism, we want to encourage historical narratives with a bearing on current affairs. This is the last point discussed in the final conclusions. We claim that the history of toxic products can raise long-term debates, decenter the current focus, look for hybrid and complex causations, deconstruct the technocratic discourse of experts, empower victims, question legal standpoints and received cultural constructs, or point out the difficulties of democratic decision-making processes in matters regarding toxic products, particularly in a world marked by an uneven distribution of power and risks. In this sense, we claim that a history of toxic products can create new links between historians and social movements, academic research and activism, while enlarging the opportunities for fostering the uses of history in policy-making. In order to follow this promising path, we argue the need of crossing disciplinary borders of the history of crime, the history of occupational health, and food and environmental history, while moving outside academia and engaging in public debates.Keywords: History of crime, food history, environmental history, toxic products. 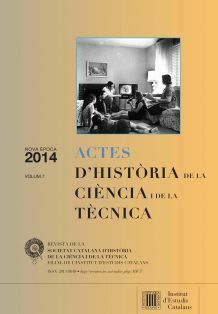 Abstract: The paper explores how chemists tried to deal with one of the first examples of mass-produced industrial chemicals to enter daily life, through investigating the use of coal-tar derived dyes to colour food in the late nineteenth century. From the mid 1850s European chemists manufactured a range of new chemicals included drugs, dyes, scents and flavourings from the derivatives of coal-tar waste. Initially greeted by the nineteenth-century press and public as ‘wonder dyes’, the vibrant new colours were seen as an example of how chemistry could transform society. The new dyes, produced for the textile industry, were widely employed to colour food and drink across Europe and America. This paper, a summary of a comparative historical study, demonstrates how cultural differences influence the understanding and management of new scientifically produced substances. The research highlights the difficulties that scientists face in helping determine how new scientific products and processes are applied in the marketplace. It also provides insights into early consumer risk management, the rise of scientific experts, and public health legislation. The second half of the nineteenth century was a time when food production was becoming increasingly industrialised and consumers faced complex and contradictory food knowledge claims. Food manufacturers introduced synthetic colourings and began to employ chemists during a period when food adulteration was of considerable social concern. At the same time, analytical chemists were being paid by the government to identify harmful and fraudulently applied food additives as well as by food companies, raising questions of whom to trust and how ‘scientific’ knowledge is formed and evaluated. Chemists, and chemical preservatives and colourings, became part of the armour employed by food producers and retailers to secure market share. However, the rapidly changing food market,intensifying industrialization and rising imports of food, led to mounting anxieties about chemical food colourings.Key words: Risk management, expertise, environmental health. Aluminium smelters and industrial hazards in the Maurienne Valley. industrial society.Keywords: Pollution, health, environment, aluminium.